When it comes to choosing a portable bed, you want to consider comfort, durability and affordability. The best portable bed choices on the market today are cots and air mattresses. A cot offers durability and comfort with tear resistant fabric. An air mattress can offer comfort similar to a traditional mattress with built-in air springs for added support. A cot is easy to set up and break down. Typically there is no more work required than simply pulling out the legs and resting the cot on level ground. While camping, you can enjoy comfort while you sleep above the ground instead of on it. On the ground with an air mattress or only a sleeping bag, you can feel rocks and uneven ground below you. This can result in body aches the next morning. Cots offer support with their highly durable fabric that contours to your body to help you sleep effectively. An air mattress is an excellent option for a portable bed. Many air mattresses offer inner air springs that give support and comfort similar to a traditional mattress. Air mattresses roll up conveniently once deflated and can be placed inside a small pouch. You can store an air mattress in your car or at home so that it is available for last-minute guests or trips where traditional beds are not available. Air mattresses are also ideal when camping if you want some of the comfort your bed at home offers. However, an air mattress does not offer the same durability as a portable cot. Air mattresses can be punctured easily, causing them to deflate even after being patched. When choosing a portable bed, you want to consider quality and comfort. Ideally, choose a manufacturer that you trust and know makes quality products that are backed by a money-back guarantee. There is no right or wrong portable bed for every person. Preferences when choosing include the type of support you would like, the thickness of the mattress you prefer, and the size and style that suits your taste. A taller person would not want a cot that is traditional length. Most cots are also waterproof, which is useful for camping. When it comes to an air mattress, you can choose between single-level and double-level air mattresses that are available in twin, queen and king sizes. 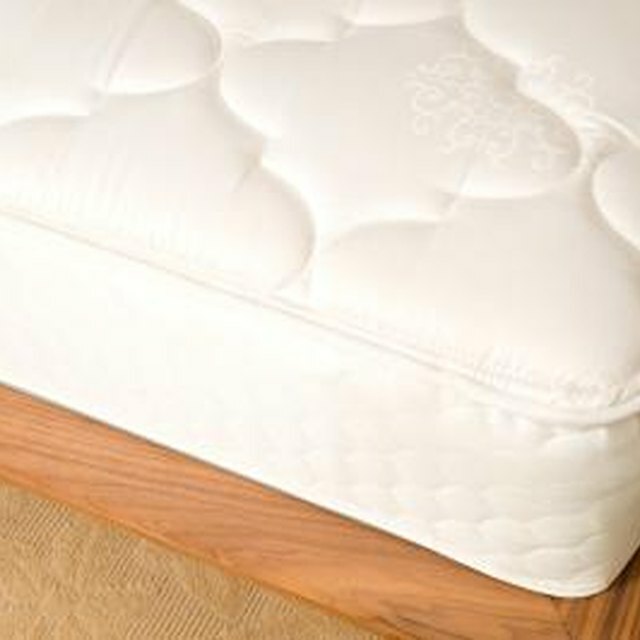 If you prefer to be higher off the ground, then a double-level mattress is ideal for you. Some air mattresses also come with a built-in pump that makes inflation and deflation a breeze. If you are searching for a portable bed, consider what you will most likely use it for. If you are looking to camp often, then a portable cot might be ideal for you. If a portable bed is for additional sleeping space when traveling or when guests visit, than an air mattress might be a better fit. Both cots and air mattresses are convenient, comfortable and easy to store.